Finland were cherished by warm weather and mild winds due to the strong and long lasting high pressure in Scandinavia. I had couple of objectives this year, which I hadn't succeeded to complete yet. Therefore I decided to head to the Baltic Sea with my sea kayak and within two days paddle to Utö lighthouse island and back to mainland. It was going to be roughly 80-90 km paddling, but fortunately weather should be fine for such a tedious paddling trip. Cause I had only two days off the work, I started driving from Tampere early on the Friday morning at 5:45 towards Korpoström guest harbor, from where I would be starting the paddling trip. I arrived to Korpoström well on a schedule after 9 AM and did quick packing of my kayak. Just after 10 AM I was ready to start to paddle through Archipelago National Park to Utö. The wind was blowing 3-4 m/s from southwest and therefore I had headwind all the day. Because it was a early Friday morning there were not many boats on the waters. 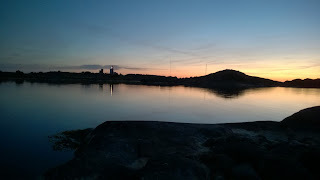 I saw only one sailing boat on my way to Ingolskär small islet, which were my first goal today. 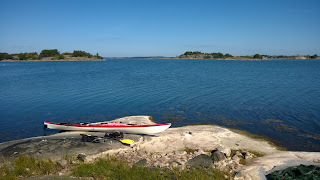 After 2,5 hours paddling I was on Ingolskär and found a decent landing spot for my kayak to get ashore. Ingolskär - daymark, which had been built on 1873, was standing on the highest spot on the islet. I decided to have lunch as well and stayed for awhile on the warm rocks enjoying the sunshine and the views. 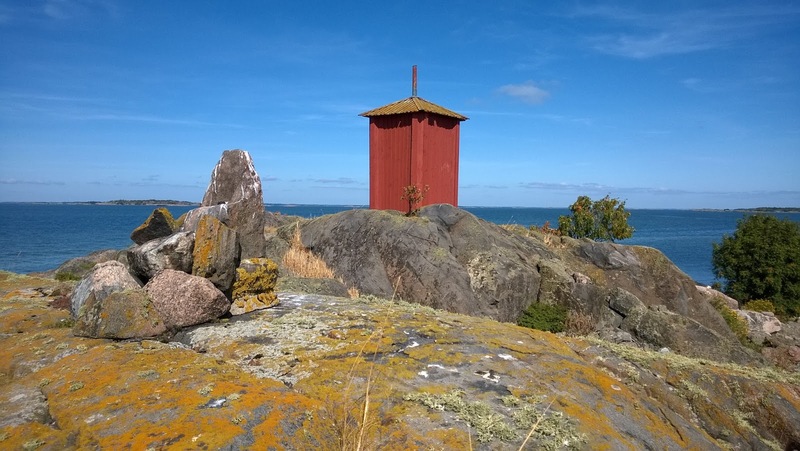 The next goal today was to visit on Lill Gråharu daymark islet just next to Utö lighthouse island. There were couple of long 10 km crossings before and after Vidskär - island. They went pretty well and I just needed to be cautious because there were lots of waterways crossing this area. I didn't see any cargo vessels though and felt quite safe. At 6 PM I arrived to Lill Gråharu daymark islet and got ashore. Lill Gråharu daymark is even older than Ingolskär, it was built on 1856. On a slippery rocks I felt down, but fortunately got only couple of scratches to my arms and legs. 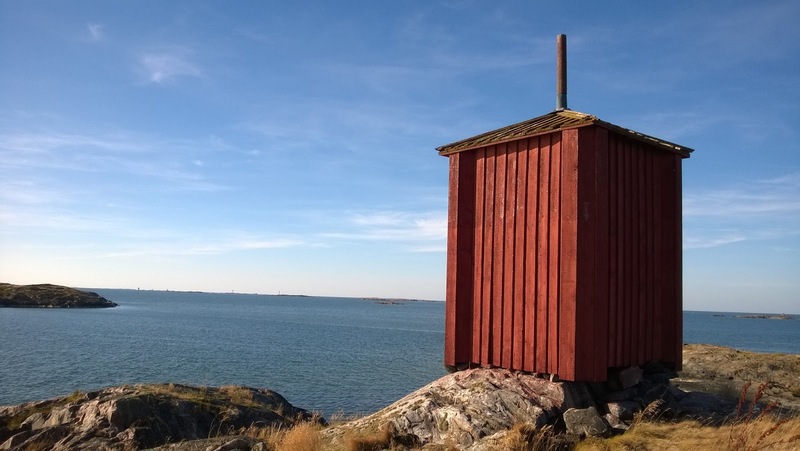 There were only 3-4 km paddling to Utö and found a narrow ledge of flat rocks, where I pitched my tent. 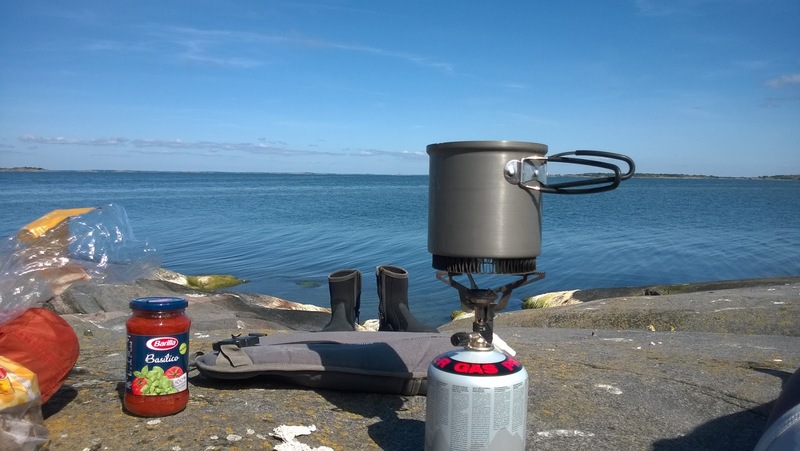 I was hungry after 8 hours paddling and had good supper watching lighthouse on a sunset. The paddling route of Friday can be found from here. The Saturday morning was beautiful and I had a good breakfast before starting paddling back to mainland. I was on the water at 8 AM and during the first crossing to Vidskär saw one big cargo vessel passing me by. The wind was pretty much non-existent or slight tailwind. There were more boats today than yesterday on the waters. Sun was shining and I was sweating and drinking lots of water during the paddling. 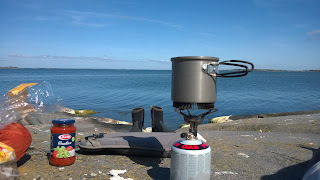 Finally after 4 hours paddling I arrived to Brunskär and had a lunch on a warm rocks. On the way back to Korpoström I checked Stora Hästö landing spot and anchoring harbor. It seemed to be really nice place. Have to keep in mind for the next visits to this area. Just before 4 PM I got back to Korpoström and had 4 hours drive back to Tampere. The trip was successful, I managed to visit two daymarks, which were on my list for this summer. I have only 1 lighthouse and 1 daymark to be visited by paddling, hopefully can complete my 10 year paddling project next year! 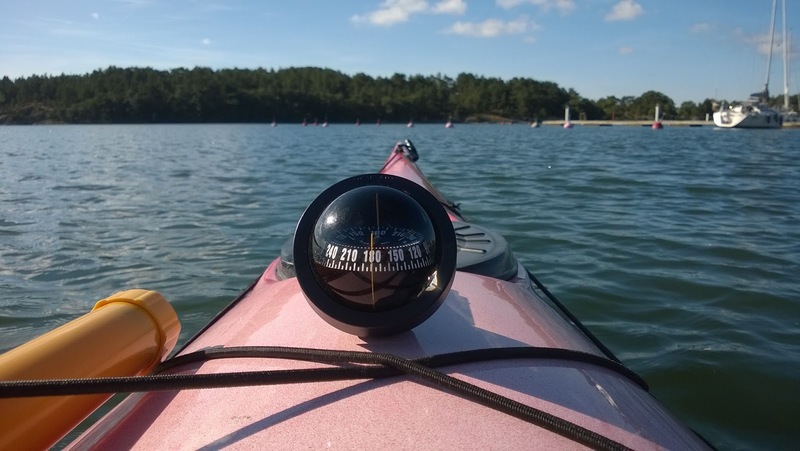 The paddling route of Saturday can be found from here.